The cheapest case is not always the best choice for a tablet. 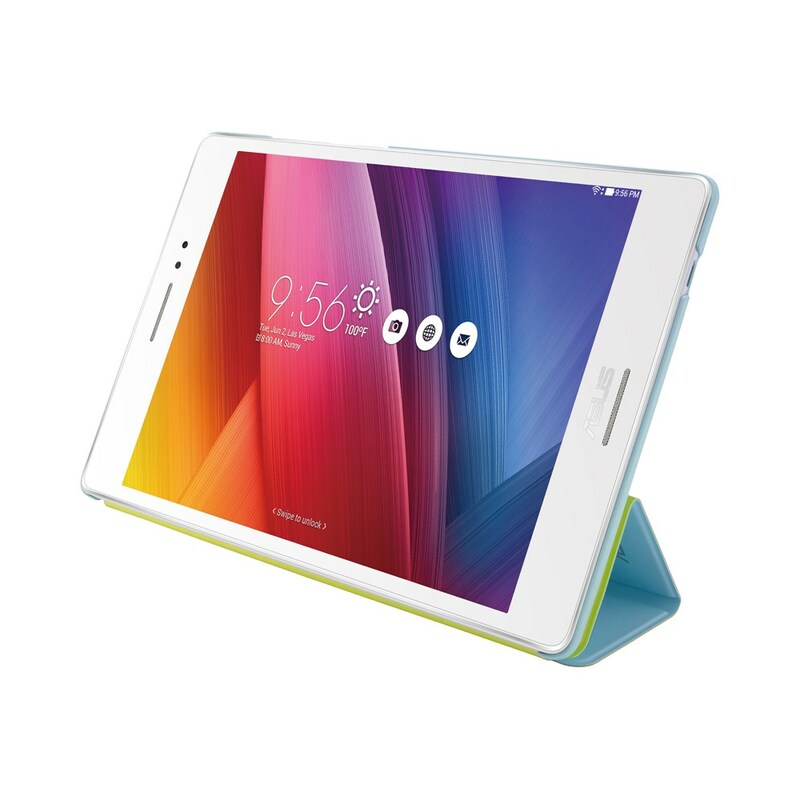 When it comes to the premium ZenPad S 8.0 series, skimping on a case may not be the best plan. The primary feature should ultimately be protecting the display from cracking. Yes, an unprotected tablet even with Gorilla Glass is frail when it comes up against a hard surface like concrete or asphalt. If you keep your tablet almost exclusively indoors and you don’t have a risk of dropping on cement tiles or concrete, then a protective shell is less important. A tablet is much nicer in hands with no case or cover, but that enjoyment can come with a risk too from drops. In and out of a car? Kids? One advantage to the Asus official accessories, in particular with the Tri Cover, is the fact it’s tight fitting to the form factor. There are many Tri Cover copycat cases, some of which I’ve used myself, and most of them have a similar issue. It’s called too much weight. The corners of a tablet really need a rubberized type protection to help prevent screen cracks from falls. The Asus Tri Cover provides that protection but also does it without adding a lot of extra weight. In this case (no pun intended), it’s best to look at the real tablet case/cover masters, Apple. Their Smart Case is largely what the Asus Tri Cover is. If you’ve ever owned an Apple Smart Case, you realize that it’s feather light. So yes, you could save some money and get a cheaper third party case for your ZenPad S 8.0, but at least hear me out on the issue of weight. Use this as a comparison and as a reference point when it comes time to buy a case. If it’s providing that full protection as the TriCover case does, then before buying it, consider the weight. In my situation, I bought a cheaper third party case for my Asus ME302C tablet, which is 10-inches. It is essentially a non Asus manufactured TriCover/Smart Case. It fits great, however, the weight is a big issue. Around the house, it’s not worth having the tablet in the case. When you handle the tablet outside of the case, you realize how big a different weight plays in your handling and enjoyment of a tablet. So we will choose some of the best and lightest cases and list them here in the coming weeks as accessories start to roll out. There may be alternatives to the Asus brand TriCover, but let’s see what happens! Where can the ASUS tri Cover case be purchased? I’m struggling to find a seller for it online. where does the flap magnetically latch? and is it totally flat? i have a 3rd party tri-cover, and i’m not happy with it, the smart case magnet part is iffy.